A month ago McDonald in Diane Department Store was opened. A few days later we brought Jaden there. 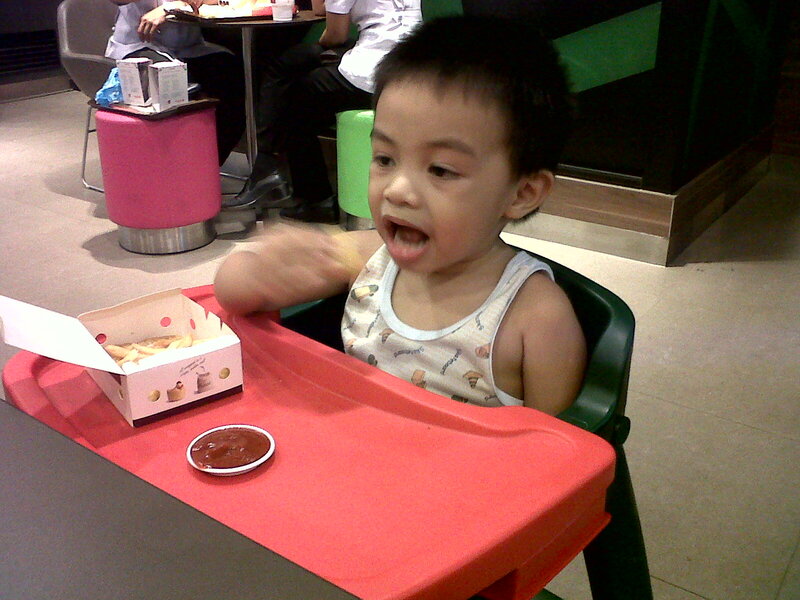 That was his first time at McDonald and I though he will not like the food there but to our surprise... he likes it. He almost eat all of the nuggets that we gave him. 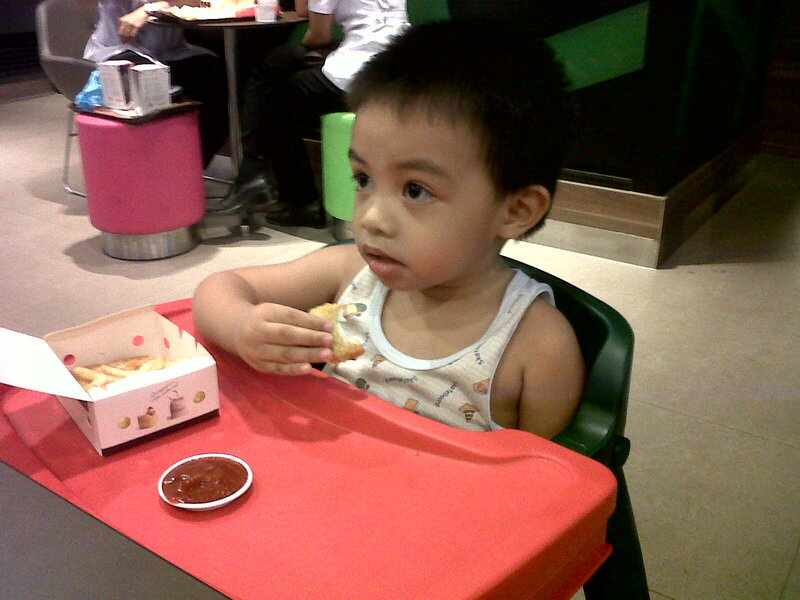 He even very serious in eating knowing that he can't sit still on his chair while eating. That time he just sit and eat until he is done. Good job boy.. We were astonished what we witnessed on his attitude that time. We want to go back there but I don't know yet.. The price is a bit higher that what we expect. 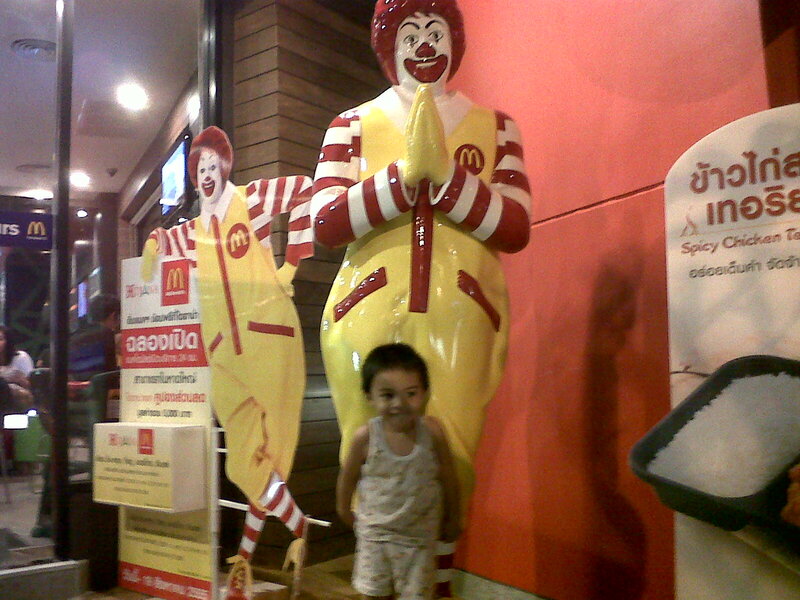 Anyway, we are glad that Jaden likes McDonald. Great blog entry, congrats my dear friend, Interesting topics 'm excited. Lisgold is here to visit w/ a smile..